Hi! I’m Trevor James, and I live to travel, eat, and make videos for you. 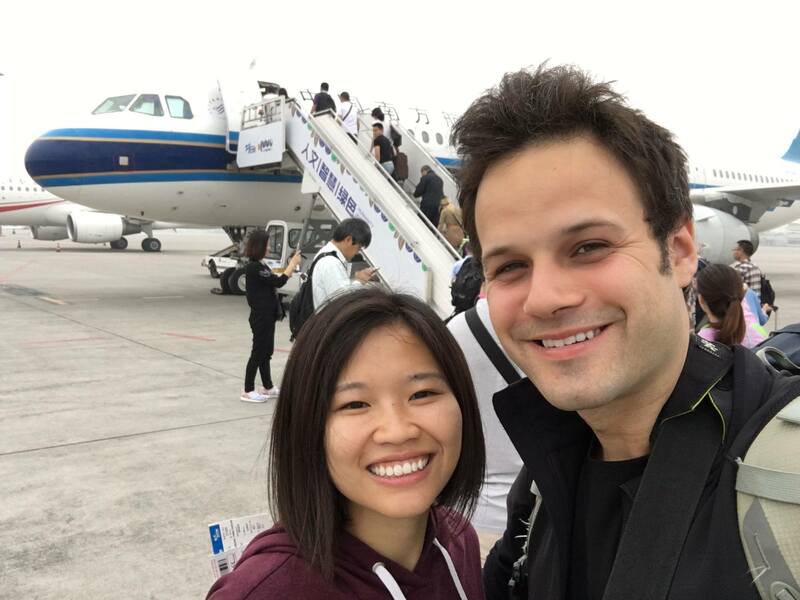 I’m currently based in Chengdu, China, with my wife Ting. We travel around China, India, Indonesia, and all throughout Asia, posting weekly street food videos for you on our Youtube channel. We've carved out a nice lifestyle of traveling and eating by working hard towards this dream that we both share, and it's been an amazing journey getting to where we are now! Sometimes I can't believe we are actually doing this as a job! It's crazy how things happen, when you start working towards a goal, in the very beginning it seems like an unclimbable mountain, but when you start taking step after step up towards the peak, you realize that anything is possible! Today, we are creating street food videos for you full time and loving every minute of it. When I first started making videos in 2013, I had this dream of supporting myself full time and being able to travel forever by creating food videos. 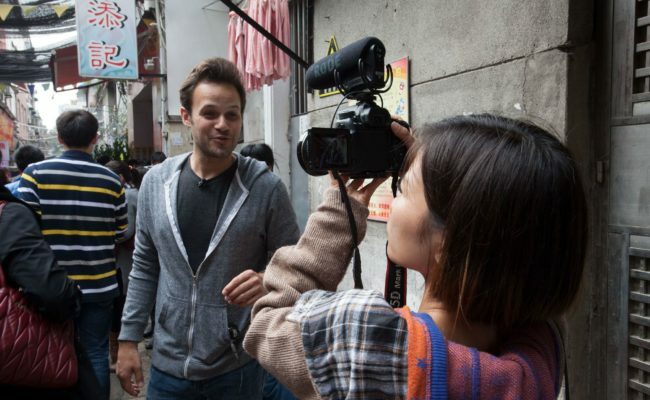 After a couple years and after moving to Chengdu, China in September 2014, I had shot about 50 videos and had about 3000 subscribers on YouTube, I realized that this goal was entirely possible! In the very beginning, and before I met Ting Ting, I did it all completely broke. I moved to Chengdu in 2014 because I wanted to taste the food and explore and live a life of adventure, but I couldn't really afford it. After graduating from university at UBC in Vancouver in 2014, I found a scholarship available that lets you study in China and gives you a monthly living stipend. It was perfect! 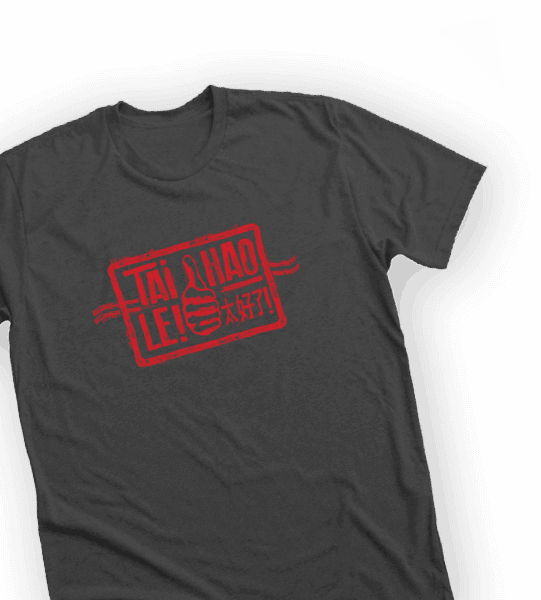 I could live in China, shoot food videos, and learn the language all at the same time. And to make a little more cash for traveling and eating, I taught English on the side. Whenever there was a holiday, like Chinese New Year or summer break, I would fly to a new destination to go Foodrangin' and find the best local food! 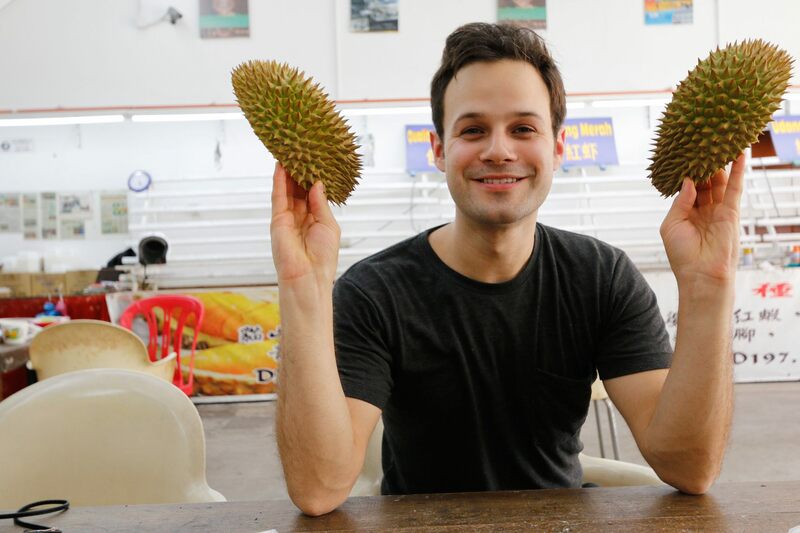 I discovered that I had an intense love for durian and all of its varieties in Malaysia. 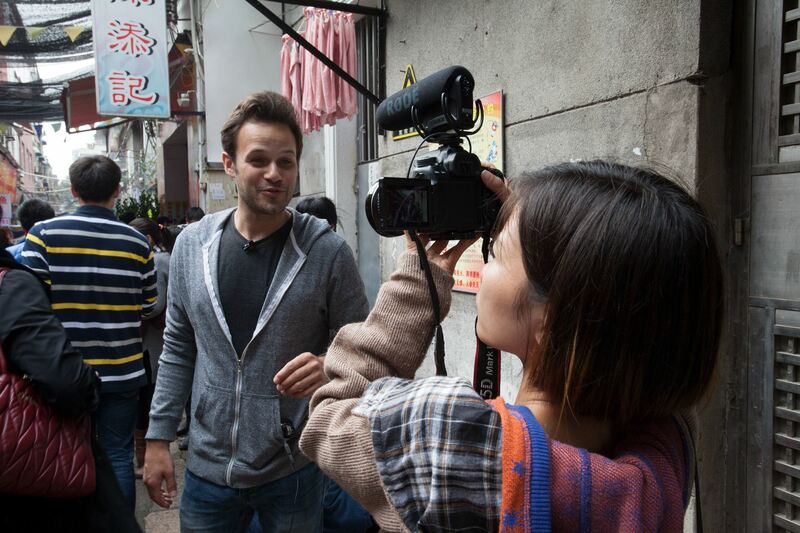 When I was first starting out in Chengdu and before I met Ting, a friend of mine helped me film the first few videos. 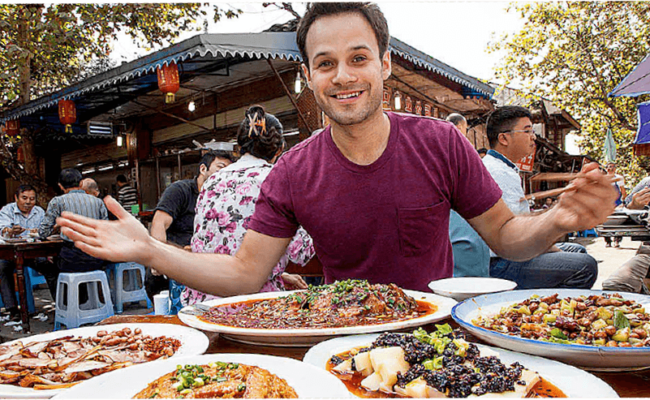 We had a lot of fun together exploring the back lanes of Chengdu for delicious food to eat. He really helped a ton behind the scenes. I fell in love with the process of planning, shooting, editing, and posting. It gave me a good idea of what being a creator on YouTube was like, and I wanted to keep going and create more and more. It took a couple years to get a base of subscribers, but I knew that I could do it if I kept pushing. When I first started making videos on YouTube, all I wanted was to be able to travel forever and eat forever in different countries around the world. Now, after a couple of years of actually doing it and after feeling the freedom of being able to fly wherever we want and whenever we want, my goals have changed. I've decided that apart from traveling and eating, I also want to inspire people and put some positivity out there in the world, showing people that the world is truly a beautiful place, full of friendly people and that it's not as scary as a lot of the media makes it out to be. 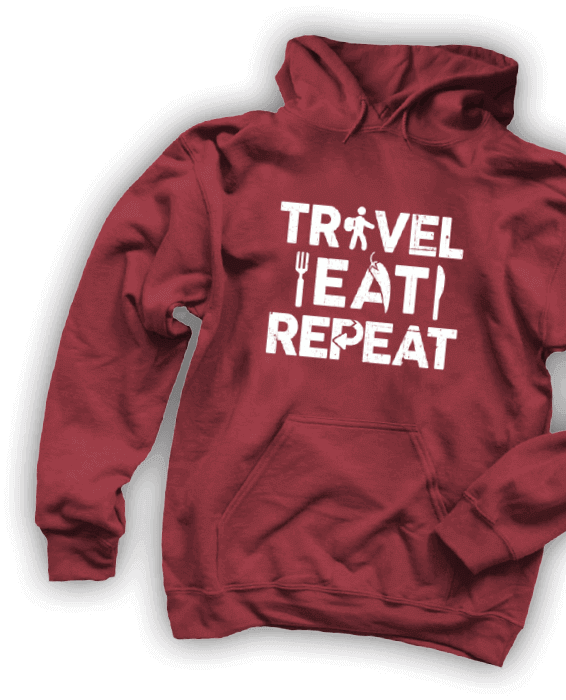 I want to show people that traveling through food is the best possible way to experience this friendliness. 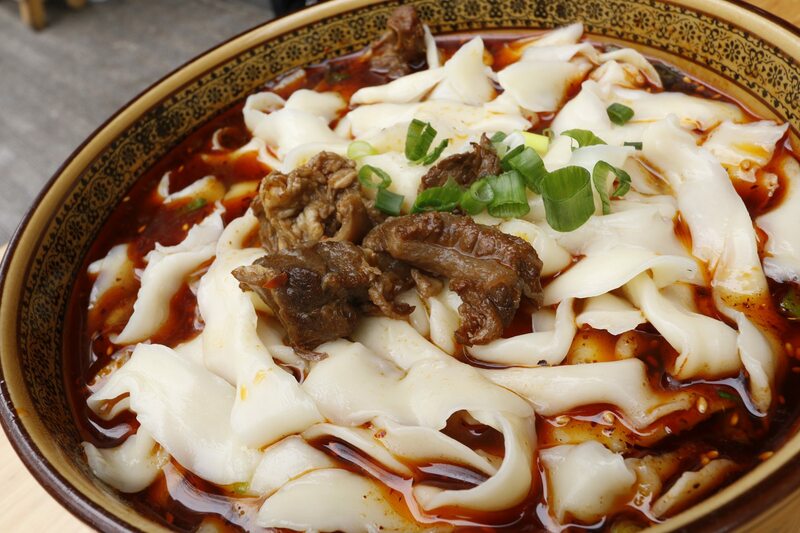 I moved to Chengdu for one reason: the food. I first came to Chengdu in 2013 while solo backpacking around China in between semesters at university and immediately fell in love. There was this magical feeling on the streets that I couldn't get enough of. It was the happiest and most chill place I'd visited in China; people seemed to move slower than other cities and I noticed that people just seemed happy. And then I tried the food. The glorious chili oil wontons, hongyouchaoshou, were out of this world. 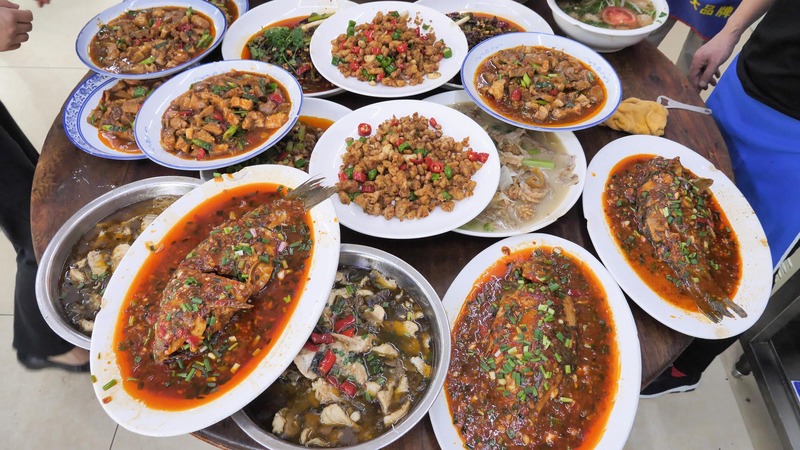 The massive tables full of spicy and xiang delicacies were enough to move to Chengdu for. I couldn't believe the flavour. I decided that I would move here after graduating university. The next couple years at school went by way too slow; I couldn't wait to graduate and move to China and start filming and eating! 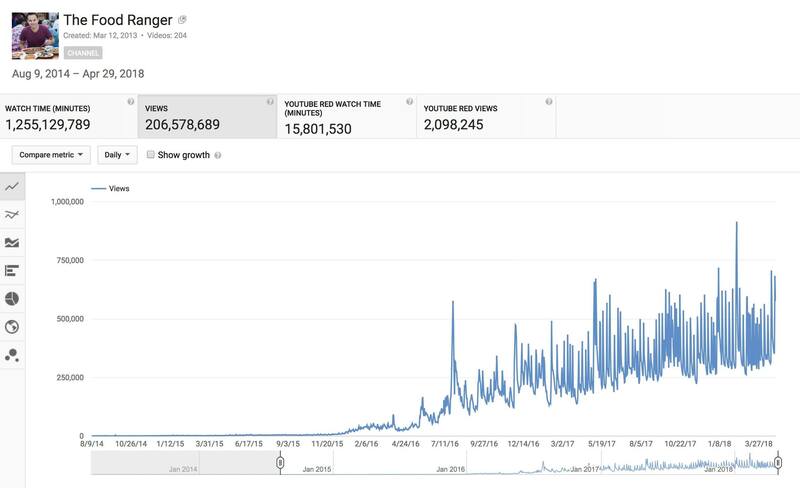 It's been a wild ride watching the insane channel growth over the last 5 years. Viewership peaks that I thought were massive at the beginning are now at the baseline. We've put in a ton of hard work to the channel and it's been insane watching our subscribers grow! Sometimes I can't believe it, it's hard to conceptualize how many people are watching these videos! As we keep going, my goal is the same as it's always been: to travel and eat and share a positive message with the world. I really want to show people how friendly the world is!